You ever been to a flea market? Bazaar? Ensenada? It’s like the opposite of eBay. The more you feign interest, the lower the price gets. 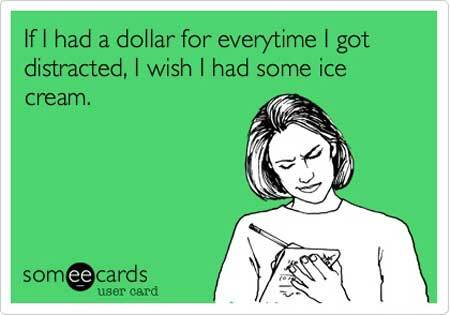 And then you’re convinced you are a great bargainer. The same way I think I’d make a good sports general manager because I can wheel and deal in fantasy sports. Problem is, it’s all a charade. You’re not a good bargainer, you just bought a fake purse for $30 when it cost the seller about $5 to create. But, in your head, you think you snookered that crazy person who sells things off a blanket. That’s how it’s become with my daughter. Or, at least it’s how I think it is. She’s as stubborn as her parents (good to know the apple doesn’t fall far) so to get her to do something without simply overpowering her always turns into a game of bartering. I don’t think she’s quite at the age where she thinks she is getting the better of me, but the whole bartering technique is alive and well in our household. And, you know what? I’ve totally become one of those parents I swore I wouldn’t be. Growing up and seeing exhausted parents in the store just giving in to certain things – Fine you can have some candy, just stop hitting your brother for 10 seconds and you can get the jumbo size. OK, it’s not that bad – but I probably need to keep it in check. Hence this little slice of online parenting therapy you have stumbled upon. The thing is, my daughter is very active. Without stories of me bouncing off the walls, I might suspect she could have ADHD or some other type of thing where I would want to medicate her. But that is clearly the easy way out. She’s not a harm in what she does, she just gets easily distr …. SQUIRREL!!! Two of his heads for one of yours. Seriously, the Jungle Cruise jokes never get old. Where was I? Oh. Right. To reinforce potty training, we offer M&M’s for every successful venture. It’s worked because she knows she gets a treat if done correctly. Or to give us some peace and quiet for 20 minutes, we’ll give in and let her watch TV on our phone or iPad. Or if she is throwing a fit for something, we’ll set a simple hurdle for her to achieve and then she gets what she wants. It’s not like she’s begging for drugs and we’re like You’ve got to eat three bites of your vegetables first then you can take one big hit off this crackpipe. She is a good kid with a lot of energy so to help curtail it, we just try to put a checks and balance system in place. 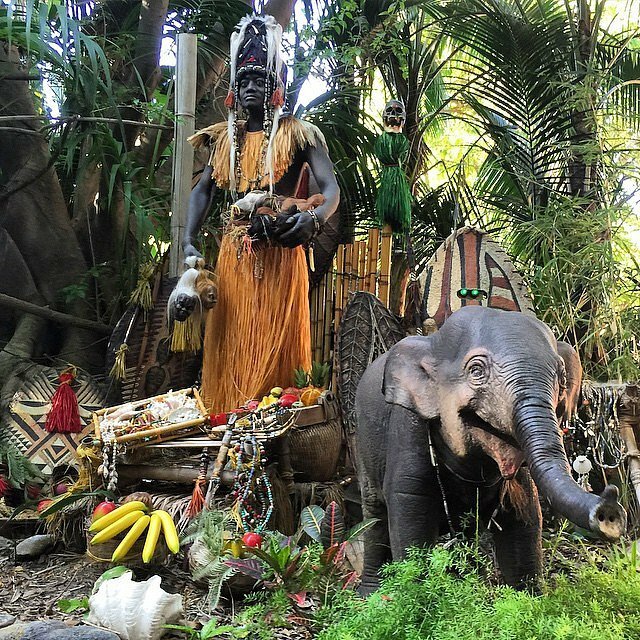 But, oftentimes, I do feel like I’m at the end of the Jungle Cruise at Disneyland and Trader Sam is offering two of his heads for one of mine.